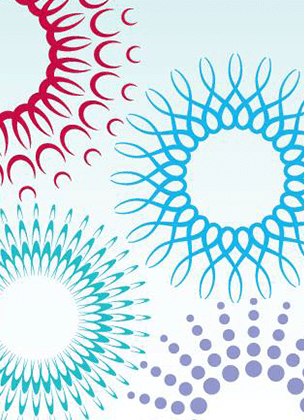 99% of diagnostics in dental is visual. * That is why Hu-Friedy offers some of the widest selection of mouth mirrors in a variety of sizes, configurations, and ergonomic handle choices. 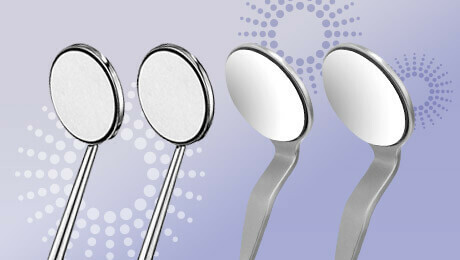 Whether your choice is Rhodium Front Surface or our High Definition Mirror heads, rest assured they provide sharp, clear, and distortion-free images, with scratch resistance and comfort for both the clinician and patient thanks to our ergonomically designed handles and smoothly finished wide stem. Below you can learn more about the differences and choices we offer in our Rhodium and High Definition Mirror heads. If you’re already are a fan and want to leave a testimonial for your favorite mirror and handle combination, click the submit testimonial link to tell us what you love about your Hu-Friedy mirrors. *”Vision Enhancement in the Operatory,” Dental Economics, August 2006. If you have ever wanted to see things clearer, brighter, and distortion free, Hu-Friedy’s HD Mirrors are what you have been looking for! HD Mirrors provide 38.5% brighter images than rhodium, a 113% reflection factor, and scratch resistance, all compatible with our large ergonomic mirror handles! 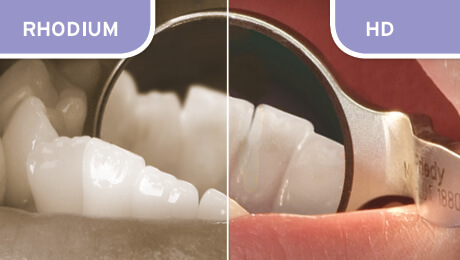 Our rhodium-coated mirrors are ideal for indirect vision; retraction of lips, cheeks, and tongue; and transillumination, especially for the harder to see areas of the intraoral cavity. All Hu-Friedy’s cone socket mouth mirrors feature highest quality rhodium coating that is resistant to scratching. As a front surface mirror what you see will be sharp and distortion-free images. 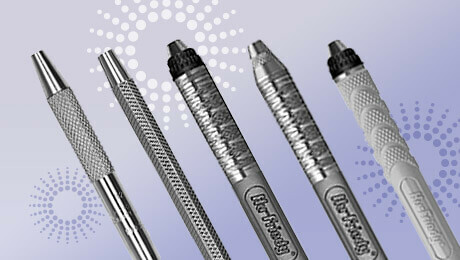 Additionally, they are finished smoothly for increased patient comfort. All Hu-Friedy’s cone socket mouth mirrors feature the highest quality rhodium coating, which is resistant to scratching. With our front surface mirror, you see will be sharp and distortion-free images. Additionally, our mirrors are finished smoothly for increased patient comfort. Whether you prefer resin or our high-quality steel, there is a mirror handle option for you! 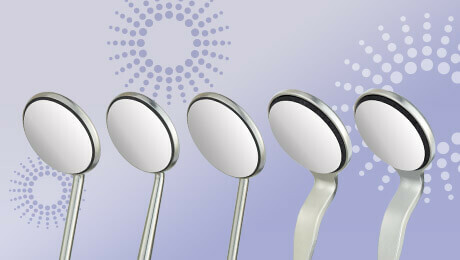 Choose from our variety of Cone Socket and Simple Stem mirror handles for what best suit your needs.